With around 250 golf courses in Italy, there are plenty of options for the discerning visiting golfer. We’re still scratching the surface of Italy’s finest courses but we’ve recently uncovered a few more of the country’s lesser-known gems. We’re therefore pleased to report that we’ve extended our Italian coverage from a Top 20 in 2012 to a Top 30 for 2014. Sicily may well be the largest Mediterranean island but up until recently Sicilian golf courses were in short supply. The introduction of two 18-hole Kyle Phillips-designed courses at the Verdura Golf Resort and the Gary Player-fashioned Parkland course that ably supports the contrasting Franco Piras-designed Links course at Donnafugata has completely raised the golfing bar on this charming island. All four courses feature prominently in our latest Italian rankings. Gannon and Blandford also designed Milano, which moves up six places to 8th and the venerable Roma-Acquasanta (Italy’s oldest golf course) also rises six positions to 11th. Biella known locally as ‘Le Betulle’ (The Birches) is located in Valcarozza, one of the most evocative and serene spots in northern Italy. The club was founded in 1958 and the English architect John Morrison designed the course. Biella has been glued to the top of our Italian rankings since 2008. As always we welcome feedback, so feel free to let us know what you think of our golf course coverage in Italy – there must be many other layouts in this country that are worthy of exposure on the Top 100 website? Top 100 doesn’t claim to be “definitive” but we like to think we create the “most informed” golf course rankings in the business. 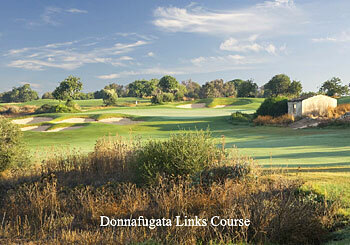 If you’ve played any of our featured Italian courses, we’d love to know your thoughts, so why not post a course review? Click the link to see the latest Italian Top 30 in detail.